Ryze Edinburgh. Image Credit: CircusTrix. Watching American Ninja Warrior from the comfort of a sofa is thrilling enough for some people. But if you're a fan who has long dreamed of partaking in the action, you can start planning your trip to South Korea. A park based on the television series will be opening there this December, Mashable reports. Extreme recreation park developer CircusTrix announced last week that the company has plans to build its newest attraction in the South Korean capital of Seoul. 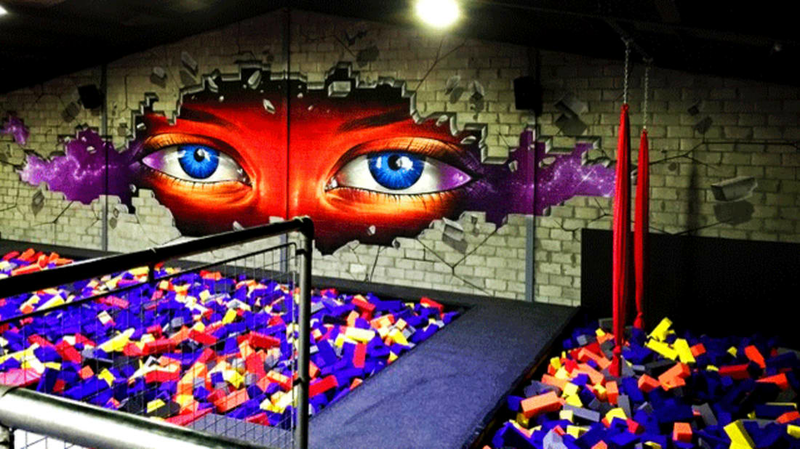 CircusTrix is best known for its adrenaline-pumping, indoor trampoline parks, which can be found in Europe, Asia, and the U.S. In addition to trampolines, the Ninja Warrior-inspired location will feature obstacle courses with foam pits, slacklines, trapeze swings, and a trampoline wall for practicing Parkour. With eight seasons and counting, American Ninja Warrior has proven to be a hit with U.S. viewers—and the developers hope that will translate to high attendance at the park. South Korea's new recreation center is scheduled to begin construction next month, with completion set for the end of the year.